The Great Bear got a warm reception in Berlin 2011. Now director Esben Toft Jacobsen and screenwriter Jannik Tai Mosholt are bringing us an enchanting animal fable about fortitude and loss. Beyond Beyond comes out of a long-running partnership between image-maker Toft Jacobsen and word-man Mosholt. This is not your run-of-the-mill cast of characters: A big-eared bunny rabbit who dives in the ocean in search of his mother. A frog captain of a steamer made of driftwood. A big flying creature that looks like a cross between an eagle, a dog and a rodent. Imagination takes wing in director Esben Toft Jacobsen and screenwriter Jannik Tai Mosholt’s Beyond Beyond. The duo that brought us The Great Bear, which was warmly received at the 2011 Berlinale, are now taking us on a perilous journey with Johan the rabbit boy to the Realm of the Feather King. Johan is trying to find his mother who was kidnapped by the Feather King. Striking shots on sea and land recall Hayao Miyazaki. The amazing scenery includes a city where houses are stacked in tall, teetering towers and the mysterious Fog Banks navigated by a steamer with impressive machinery in its bowels. Moreover, Beyond Beyond evokes a distinctive Nordic tradition of fantastical tales and animated nature, as found in the Moomin world created by the Swedish-Finnish artist Tove Jansson and the stories of Astrid Lindgren. The European folktale tradition is never far away, either. 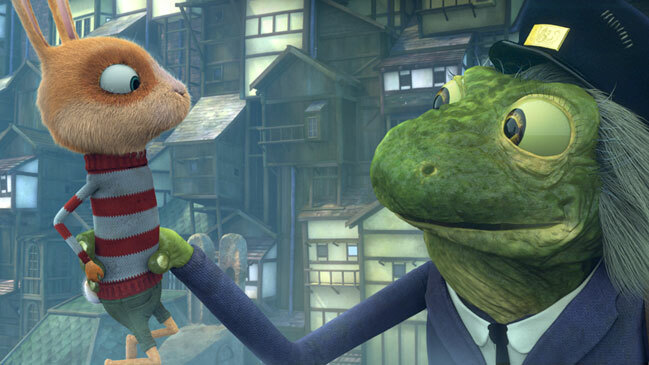 The film’s tiny protagonist Johan can be seen as the rabbit answer to the Brothers Grimm’s The Story of a Boy Who Went Forth to Learn Fear. Toft Jacobsen and Mosholt draw on a full cultural heritage of fables and myths, without playing favourites. Beyond Beyond is a Danish minor co-production between Copenhagen Bombay of Denmark and their Swedish subsidiary. Some of the team worked in Copenhagen, other were based in Stockholm and Gothenburg. “It was a great privilege to work with so many skilled people in Sweden and Denmark. Both places have a huge talent pool,” says Toft Jacobsen, who did a lot of travelling between the three cities during the film’s production. “A big, expensive apparatus,” as he puts it, was cranked up to create Beyond Beyond’s expressive visual design. 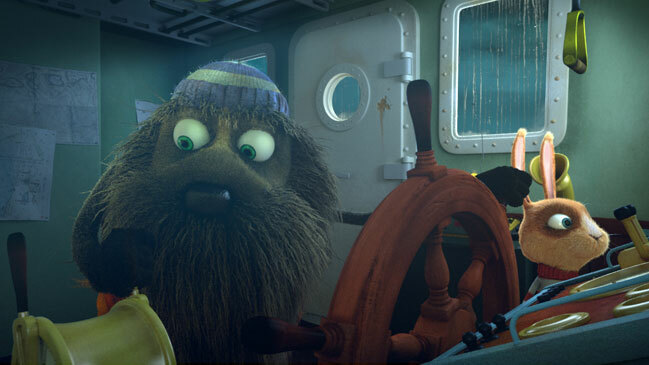 This included hiring a so-called groomer to make the characters’ furs and beards look good. “In The Great Bear we were going for a bit of a raw, unpolished look. In Beyond Beyond we wanted a lavish look with a wealth of details,” he says. Toft Jacobsen and co-creator Mosholt have worked together since 2005. Their joint graduation film from the National Film School of Denmark, the magical Having a Brother (2006), won a Special Mention in Berlin. In 2011 their first animated feature, The Great Bear, was selected for the Berlinale’s children’s film competition Generation Kplus. Each has clearly found a creative soul mate in the other. One is distinctly visual, the other distinctly verbal – just the right mix for a creative team-up. “Esben works very intuitively, based on certain fascinations, like the sea in Beyond Beyond or the bear in our last film. Me, I’m better at structuring ideas into actual sequences. We complement each other that way,” Mosholt says. Their work on Beyond Beyond reflects that. The first thing they did was write 10 lines about the kind of story they wanted to do. Toft Jacobsen then spent three months drawing and painting – characters, setups, locations. When he had covered all the walls of his office in drawings, he asked Mosholt over so they could structure it together. “We deliberately didn’t write very much down before I started drawing because we wanted to let the images rule,” Toft Jacobsen says. “We disagreed at times and got annoyed with each other, but that’s just part of a fruitful creative process. We bounce ideas off each other. It was an organic, open process … We feed off each other’s enthusiasm,” says Mosholt. Director, born 1977. Esben Toft Jacobsen’s first animated feature, The Great Bear, was warmly received at its world premiere in Berlin. Beyond Beyond, a Swedish-Danish co-production, is his second feature. 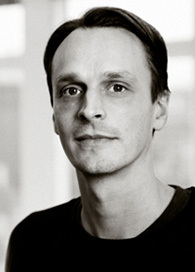 Since graduating in animation direction from the National Film School of Denmark in 2006, Toft Jacobsen has developed and directed productions for Copenhagen Bombay. Screenwriter, born 1978. Jannik Tai Mosholt wrote Esben Toft Jacobsen’s first feature The Great Bear (2011). A 2005 screenwriting graduate of the National Film School of Denmark, he has worked in TV and features. 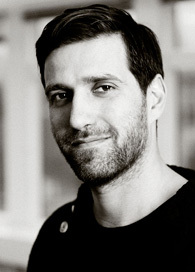 Mosholt has written episodes of the TV series Borgen and screenplays for the award-winning teen films Hold Me Tight (2010) and You & Me Forever (2012), both directed by Kaspar Munk. Esben Toft Jacobsen and Jannik Tai Mosholt’s animation feature tells the story of Johan and his father who have lived at sea for as long as Johan can remember. Or at least since he was three and his mother disappeared. Johan likes the ship. It has a greenhouse where they grow carrots, and it has fishing nets. Johan is good at diving and at mechanics and helps his father repair the ship. 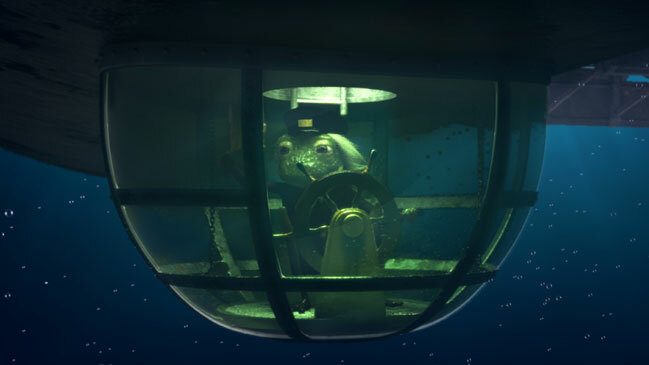 One day when Johan’s father goes for provisions and Johan is left alone on the boat, he receives a distress call on the radio with a clue about his mother’s whereabouts. Beyond Beyond is, like The Great Bear, produced by Copenhagen Bombay, by producer Petter Lindblad and executive producer Sarita Christensen, and animated in Copenhagen Bombay’s own studios in Stockholm and Copenhagen. Beyond Beyond opens 21 March in Sweden and 10 April in Denmark. International sales are handled by Copenhagen Bombay Sales.